Software review website, Boffin, revealed today the top desktop screensavers, users can download to have their own free desktop screensavers. The team of reviewers at Boffin thoroughly assessed copious websites and online databases before compiling their handpicked list of no-cost desktop screensavers. A desktop screensaver will entertain, refresh, inspire, even make people happy. Screensavers have come a long way since the late nineties. One can today choose over a large variety of complex, artistic, and surreal screensavers to put on their computers. A great work timeout, screensavers can offer a much-needed brain break for anyone whos office-bound. Additionally, screensavers can even boost ones productivity and supercharge creativity. Boffin, aware of how screensavers have so many advantages, published today its exclusive list of no-cost desktop screensavers users can find online. The short-listed downloadables were evaluated for factors such as entertainment, creativity, innovation, and uniqueness. The editors at Boffin found particularly pleasing some travel-themed screensavers that allow computer users to travel around the world from the comfort of their home or office. These screensavers are available for downloading for $ 0.00 and lets users visually visit different cities and famous sights of the world. For Lord of the Rings fanatics, Boffin suggests downloading a 3D screensaver that visually encapsulates the main challenges the Lord of the Rings team confronted. Carefully designed and with vivid colors, the screensaver gives Lord of the Rings fans yet another reason to keep rambling about the trilogy. An ingenious take for a classic concept, the Handwritten Digital Clock is another Boffin-approved screensaver. The no-cost screensaver lets the user visually experience how time passes, by seeing numbers getting written and unwritten in front of their eyes. Other available free screensavers the Boffin editors recommend are the RSSMore, Twingly, Hurricane and TwittEarth. The Boffin editors revealed that this list is to be reevaluated soon. New screensaver resources will be assessed and possibly added to Boffins present list. This will ensure users have access to the most entertaining and high-quality no-cost screensavers, the Boffin editors pointed out. Software Review Boffin reviews the latest technological products in demand on the market right now. They provide expert, honest and straightforward reviews so customers can objectively measure if a product, especially software is well worth it before making their purchase. 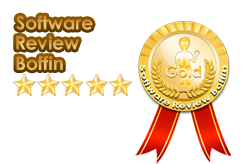 To learn more about Software Review Boffin, visit http://www.softwarereviewboffin.com.